The American Dental Association recognizes oral and maxillofacial surgery – commonly referred to as oral surgery – as one of dentistry’s nine specialty areas. This dental specialty focuses on the diagnosis and surgical and adjunctive treatment of diseases, injuries and defects related to the functional and esthetic aspects of the face, mouth, teeth and jaws (maxillofacial area). An oral surgeon is an important link in your referral network of primary care providers. When functional dental concerns – such as keeping teeth, overcoming congenital growth issues, controlling serious oral disease and treating trauma-related damage – supersede esthetics, oral surgeons are the appropriate dental specialists with whom to seek a referral. General dentists, orthodontists, pediatric dentists and medical physicians usually serve as the referrers. Prosthodontists often work hand-in-hand with oral surgeons to develop orthotics and prosthetic appliances to treat a number of functional issues. However, it’s important to note that whenever surgery involves the face, a cosmetic dentist should also be consulted as part of the dental team. Some patients also may wish to consult with a plastic surgeon. Removing diseased and impacted teeth and administering anesthesia. An oral surgeon can remove impacted and damaged teeth and provide in-office anesthesia services, including intravenous (IV) sedation and general anesthesia. Placing dental implants. In collaboration with a cosmetic or restorative dentist who designs your new smile or restorations, your oral surgeon can help with the planning and subsequent placement of your tooth implants. Oral surgeons can reconstruct bone in areas requiring it for implant placement and, when necessary or desired, modify gum tissue around the implants to produce a more natural and attractive appearance. Treating facial trauma. Oral surgeons can repair minor-to-complex facial skin lacerations, set fractured jaw and facial bones, reconnect severed nerves and treat other facial injuries involving the oral tissues, jaws, cheek and nasal bones, eye sockets, and the forehead. Evaluating pathologic conditions. Oral surgeons treat patients with benign cysts and tumors of the mouth and face, as well as people with malignant oral, head and neck cancer, and severe infections of the oral cavity, salivary glands, jaws and neck. Alleviating facial pain. An oral surgeon can diagnose and treat facial pain disorders, including those caused by temporomandibular joint (TMJ) problems. Your oral surgeon can order imaging studies of the joints and make appropriate referrals to other dental and medical specialists, or a physical therapist. When non-surgical treatment is insufficient or there is definite joint damage, your oral surgeon may suggest surgery. Performing reconstructive and cosmetic surgery. Oral surgeons can correct jaw, facial bone and facial soft tissue problems that result from trauma or the removal of cysts and tumors. Such corrective surgeries restore form and function to the maxillofacial area and often involve using skin, bone, nerves and different tissues from other parts of the body to reconstruct the jaws and face. Performing corrective jaw (orthognathic) surgery. Oral surgeons correct minor and major skeletal and dental jaw irregularities to improve chewing, speaking and breathing. Usually in collaboration with an orthodontist (a dental specialist who treats improper bites or malocclusions), an oral surgeon surgically reconstructs and realigns the upper and lower jaws into proper dental and facial relationships in order to improve biting function and facial appearance. Oral surgeons also surgically correct birth (congenital) defects of the face and skull, such as cleft lip and cleft palate. Your dentist, orthodontist and oral surgeon all must collaborate to determine whether orthognathic surgery is right for you or your child. However, it is the oral surgeon who decides which procedure is appropriate. As part of the dental team, the oral surgeon often provides surgical consultation and educational and emotional support for the family over the course of long-term treatment. To be certified as a diplomate of the American Board of Oral and Maxillofacial Surgery, an oral and maxillofacial surgeon (commonly called an OMFS or oral surgeon) must graduate from an accredited dental school and be licensed in the state in which he/she is practicing. The oral surgeon also must have completed four or more additional years of training in an accredited, hospital-based oral and maxillofacial surgery residency program. Oral surgeon residents train alongside medical residents in general surgery, advanced anesthesia, plastic surgery (reconstructive or bone grafting/tissue grafting), medicine and pathology. An OMFS may treat patients in hospitals, outpatient facilities and surgery centers, as well as in a dental practice setting. How long has the oral surgeon been in practice? Ideally you want to select and be referred to an oral surgeon who has built a successful practice through years of experience. The more procedures an oral surgeon has performed, the more experience and expertise he or she can offer you. What is the oral surgeon’s training and clinical experience in performing the specific procedure(s) you require? Ask about his or her experiences, knowledge and background with your particular problem. What professional dental societies does the oral surgeon belong to? Has the oral surgeon received any credentials or credible accolades from these groups? Select an oral surgeon that is certified as a diplomate of the American Board of Oral and Maxiollofacial Surgery. What continuing education courses has the oral surgeon taken? How recently have they been completed? 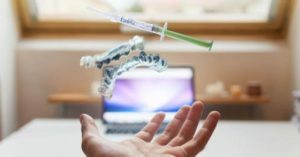 Each state and the American Dental Association require that dentists take continuing education classes to keep them up-to-date on the latest procedures and technological advances in the field. What is the oral surgeon’s diagnosis and proposed treatment plan? Be sure to ask about all the options to treat or correct your condition, as well as the pros and cons of each. Make sure that all aspects are thoroughly explained to you. What are the estimated costs of the proposed treatment options? In cases where dental insurance does not cover treatment costs, does the oral surgeon offer third party and/or in-house financing? What is the oral surgeon’s referral process and dental/medical/laboratory/hospital network? When your oral surgeon works in collaboration with other dental and medical professionals on your case, it is important that you have the same level of trust and confidence in their professional skills and care as you do in those of your oral surgeon. 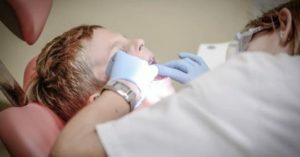 You also need to determine whether these dental/medical professionals – as well as the hospital and/or other surgical center where they and/or your oral surgeon may practice – accept your insurance, and whether the specific treatments/procedures they will perform are covered under your insurance plan. If laboratory-fabricated restorations are involved, is the laboratory technician certified or accredited? How long has your oral surgeon worked with this laboratory/technician? Is your oral surgeon satisfied with the quality of the laboratory and/or technician? Emergencies are unlikely, but do find out what provisions the practice offers. 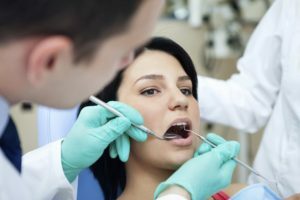 What type of emergency care does the oral surgeon offer? For instance, can the oral surgeon be reached and readily available after office hours, on weekends and holidays? Traditionally, dentists use an instrument they call the “explorer” to find cavities. That’s the instrument they poke around within your mouth during a checkup. When it “sticks” in a tooth, they look closer to see if they find decay. Traditionally when a patient needs a crown, a dentist must make a mold of the tooth and fashion a temporary crown, then wait for the dental laboratory to make a permanent one. With CAD/CAM technology, the tooth is drilled to prepare it for the crown and a picture is taken with a computer. This image is then relayed to a machine that makes the crown right in the office. Having your wisdom teeth removed is a common procedure, but some risks are involved. These risks include pain, temporary swelling and bruising and some less common complications. Pain relief for wisdom teeth removal is best managed by following your dentist’s instructions, which may include over-the-counter or prescription medication, comfort measures and ways to avoid preventable painful complications. Simple extractions are performed for wisdom teeth that are not completely buried under gum or bone tissue, are positioned relatively straight compared to the other teeth and are easy for the dentist to loosen and remove. Simple extractions involve a minimal amount of trauma to remove the tooth, so postoperative pain can often be managed with over-the-counter pain medications. Nonsteriodal antiinflammatory drugs such as ibuprofen (Motrin, Advil) or naproxen (Aleve) are typically recommended for relief of mild or moderate pain. These medications have the combined benefits of relieving pain and reducing inflammation. If you have a health condition that prevents you from taking NSAIDs, your dentist or oral surgeon may recommend acetaminophen (Tylenol) or a prescription medication. 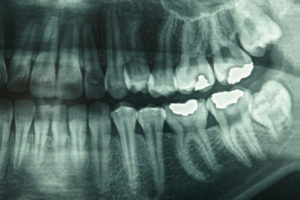 When wisdom teeth are difficult to loosen and remove, a surgical extraction may be performed. In these cases, postoperative pain can be more prominent and bruising or swelling may occur. Over-the-counter pain medications may not be adequate, so prescription-strength medications are often recommended. For moderate to severe pain, commonly prescribed pain relievers include prescription-strength ibuprofen (Motrin) and combination medications, such as codeine and acetominophen (Tylenol No. 3), hydrocodone and acetaminophen (Vicodin) and oxycodone and acetaminophen (Percocet). When taking these or any pain medications, it is important to follow specific dosage and safety instructions. It is normal to have some discomfort or pain after having wisdom teeth removed. 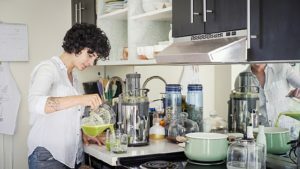 Avoiding alcohol, hot liquids and spicy foods and eating a soft diet in the days following the procedure can make the healing process more comfortable. Using warm salt water as a gentle mouth rinse for 24 to 48 hours after the procedure can have a soothing effect. Icing a swollen area at home can also help reduce swelling and pain. Place an ice pack wrapped in a thin cloth or towel on the swollen area for up to 15 minutes at a time. Some postoperative complications can lead to an unexpected increase in pain. Pain that increases 2 to 4 days after the procedure may indicate the development of a complication. Pain relief for these complications can include prescription pain medications and specific additional treatment. For example, antibiotics would be used to treat an infection or a special medicated dressing would be used for a complication known as dry socket. Before taking any medication, make sure your dentist or oral surgeon is aware of any medical conditions you have. Pregnancy, gastrointestinal problems, liver or kidney disease, high blood pressure or drug allergies are a few examples of conditions to pay special attention to before taking any new pain medication. As with any surgery, there will be a recovery period. If you’re under general anesthesia, you will not be able to drive yourself home afterward. You will want someone to pick you up, as you will be groggy and tired. We may prescribe painkillers for treating recovery-related pain. We will provide you with some detailed do’s and don’ts for after surgery. There are numerous recent studies, which identify risk factors for intraoperative and/or postoperative complications.1,5,6,8-15 Common intra- and postoperative complications and side effects associated with third molar removal are summarized in Table 1. For the general dental practitioner, as well as the oral and maxillofacial surgeon, it is important to be familiar with all the possible complications. This improves patient education and leads to early recognition and management. In this review, complications are considered rare or unusual if the incidence is commonly quoted below 1 percent. The aim of this systematic review is to remind us of the unusual complications associated with third molar surgery. 1. The study had to deal with intra- or postoperative complications associated with the removal of third molars. 2. The date of publishing had to be between 1990 and 2013. 3. The text had to be published in English or German language. In order to gather all the important studies, the references from the found studies were double-checked. There are many studies reviewing permanent inferior alveolar and lingual nerve injuries and mandibular fractures during and after lower third molar removal. Several other studies/reports include inflammatory processes, unusual abscess formations and displacement of teeth in different spaces. An overview is shown in Table 2. All of these complications are considered major. Furthermore, there are single case reports that describe extreme events, such as asphyxial death caused by postextraction hematoma, life-threatening hemorrhage, benign paroxysmal positional vertigo, subcutaneous and tissue space emphysema, subdural empyema, and herpes zoster syndrome. The reviewed case reports are presented in Table 3. 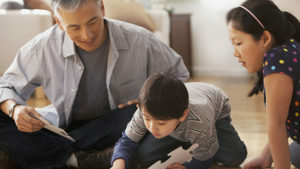 The main patient age among the cases was 28 (SD 12.7) years. In the majority of the cases, the complication occurred after third molar removal of the lower jaw. A second surgical intervention was needed in nearly all cases. In order to find the cause of the complication, computer tomography (CT) or magnetic resonance imaging (MRI) was need all of the cases. In the majority of the cases, the first surgical procedure was described as complicated and the intervention was reported as extensive or lengthy. If you need a tooth removed, summer might just be the best time. The kids are off from school, so they won’t have to miss a few days after having their wisdom teeth out. If you need to have a tooth extracted yourself, it’s often easier to get time off during this season because business slows down and you’re already more relaxed. Once you’ve scheduled the surgery, you might wonder what to eat after tooth extraction. And as you might expect, soft foods are ideal during the first few days of recovery. Unless you have particularly sensitive teeth, ice cream tops of the list of what to eat after tooth extraction, especially in the summer. It’s cool and soft, so you can eat it comfortably even when your mouth is tender. Because ice cream is cold, it can help minimize any natural swelling that occurs in the mouth. Choose your ice cream with care, though. Soft serve is ideal right after surgery since it doesn’t require as much jaw muscle to eat. You’ll also want to avoid any mix-ins or solid sprinkles along the top of the ice cream. Remember to pick a cup over a cone, too. Pureed, lukewarm or cool soups are also great to eat after a tooth’s removal. It is summer time, however, so you might prefer a smooth gazpacho over a bowl of lukewarm broth. Soup is not only easy to eat after your surgery, but it also contains plenty of nutrients and, in some cases, protein, to help the muscles in your face feel better. To avoid any discomfort, make sure the soup is as smooth as possible before you eat it. A few small pieces of cooked vegetables or pasta in the soup should be manageable, but you want to avoid anything that will require a lot of chewing. Fresh fruits tend to be at their peak in the summer. One of the best ways to enjoy them after you’ve had a tooth pulled is in smoothie form. Blend the fruits with some yogurt or kefir to add protein, calcium, and probiotics to the drink. Adding yogurt or a similar type of dairy to the smoothie also helps it become less acidic, and less likely to irritate tender gums as a result. As long as they aren’t too hot, scrambled eggs are another good pick following a tooth extraction. They’re gentle, high in protein and don’t require much effort in the way of chewing when eating them. You may love adding a dab of hot sauce to the things you eat during the day, but after you have a tooth removed, the best thing to do is put the bottle down and play it “cool.” If you’ve ever felt the burn of a hot pepper, you know that spicy foods can irritate your gums and mouth. And because outside irritation is the last thing you want while your mouth is healing, it’s best to wait until your dentist gives you the all-clear before enjoying your favorite spices. Like spicy foods, acidic foods can irritate your mouth after a tooth extraction and should be avoided just the same. During the first week after your tooth is pulled, steer clear of crunchy snacks, even those that may be cold or otherwise forgiving. Not only are they difficult to eat when your mouth is sore, but there’s also the chance they’ll break off and bits of them will get stuck in the socket. Stick to soft foods until your dentist tells you otherwise. As the U.S. National Library of Medicine notes, using a straw right after you have a tooth pulled causes a sucking motion that can increase your risk of developing dry socket. To minimize your risk for these complications, it’s best to take small sips of cool beverages after surgery, without a straw. To keep your mouth in good shape, it’s usually OK to start brushing again the night after your extraction. But be as gentle as possible, sticking with a soft-bristled toothbrush such as Colgate® 360®, and avoid brushing near the area of the extraction.